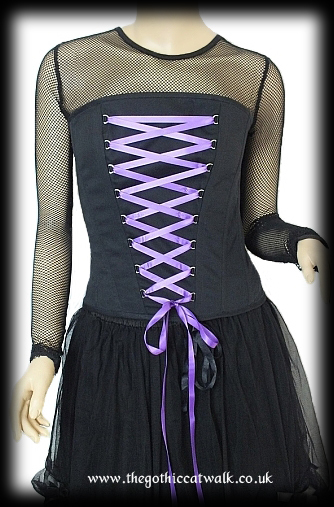 A black cotton strapless bodice top from Hell Bunny with purple satin ribbon laced panel at the front. 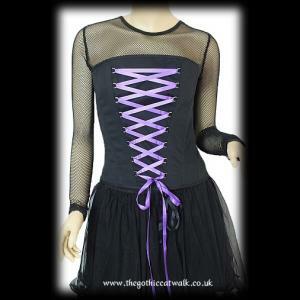 The bodice is boned in 12 places and has adjustable corset lacing at the back. 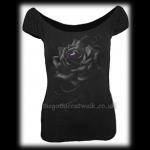 Can be worn over a long sleeved top as demonstrated in the picture above (fishnet top sold separately).